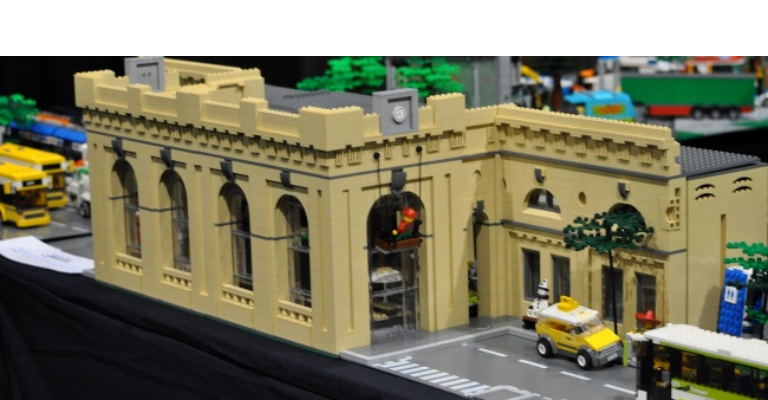 If you could rebuild Newcastle in Lego® what would it look like? What if the Tyne Bridge was glow in the dark? What if Central Station had legs? Let your imagination loose and come together to help build a fantastical, new version of our city in Lego®. Bring the family along, grab a plot and get building! This event will be in Discovery Museum’s Great Hall and will be led by Lego® expert Bricks McGee. Please note, building sessions will last an hour and last admission will be 20 mins before the close of each session to allow sufficient build time. Plots and Lego® will be provided on the basis of 1 plot per family, to a maximum of 5 participants. Additional plots will be issued to groups larger than 5 participants, e.g. a group of 7 will be issued 2 plots. This event is part of Play + Invent, Discovery Museum’s new family programme for budding inventors, designers and makers!